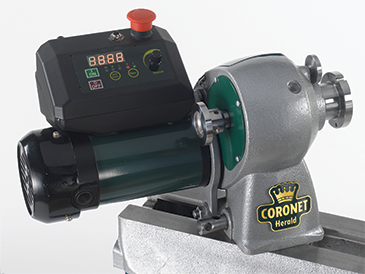 The 750 W motor features the latest in motor technology to give huge amounts of torque, comparable to lathes over twice the size and motor rating. 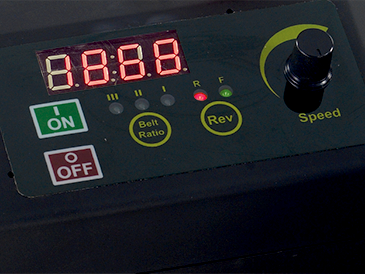 Instantaneous speed change is achieved using the easily accessible control panel. 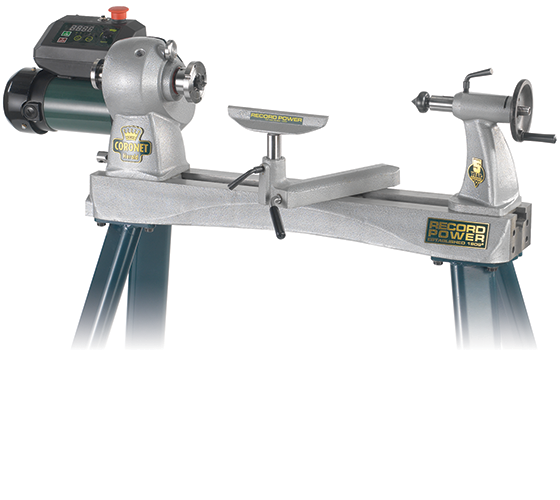 Reversing is also offered for sanding or left handed turning (Must be used only with suitable locking systems for chucks and accessories). 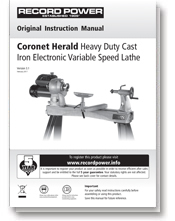 Unlike most cast bed lathes, the headstock of the Herald can be rotated 360º, optimising access and also making it ideal for left-handed turners, who can effectively turn this machine into a fully left-handed lathe using the reverse facility of the control system. 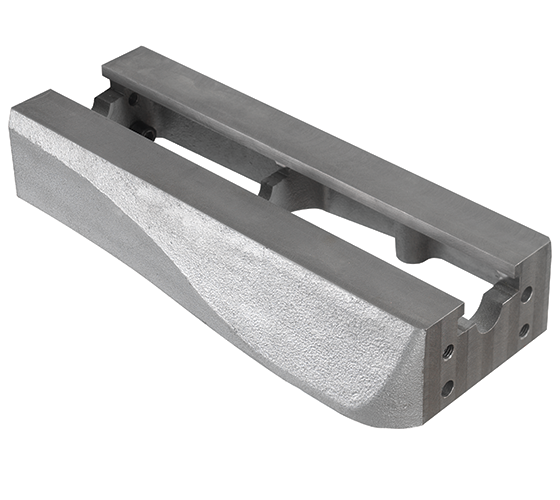 A bearing system beneath the headstock allows it to be located in popular positions. The headstock can also be moved along the lathe bed if required. 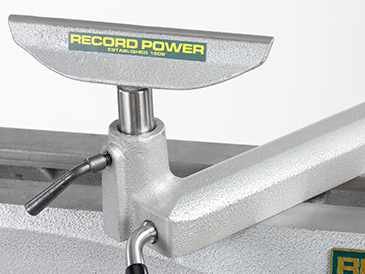 The tool rest holder is locked in place instantly with the easy to use cam locking system. 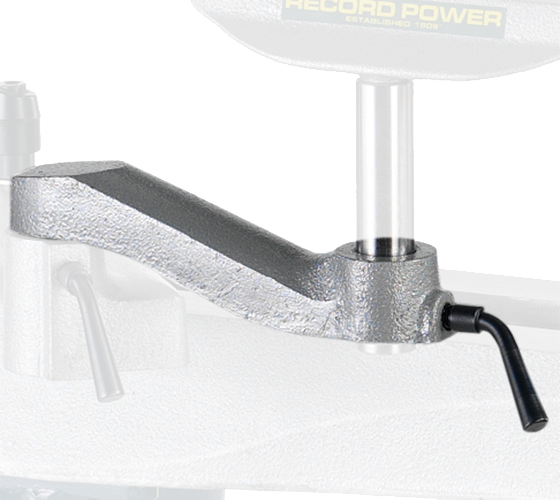 The 1" diameter tool rest stem helps minimise vibration, giving a smoother and easier cut. 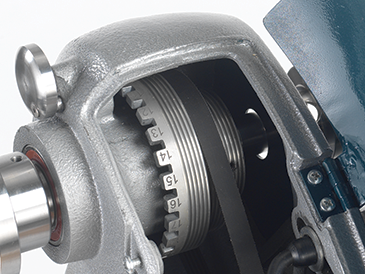 A 3 step pulley is provided for maximum versatility. 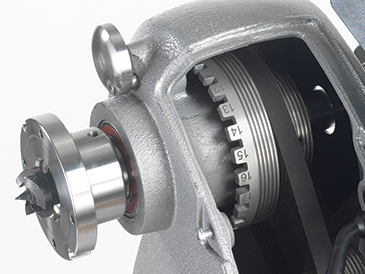 For most turning the middle pulley is perfect and provides good torque but if you need maximum torque comparable to much larger lathes for heavy cuts or low speed work, then the bottom pulley has immense torque capability. 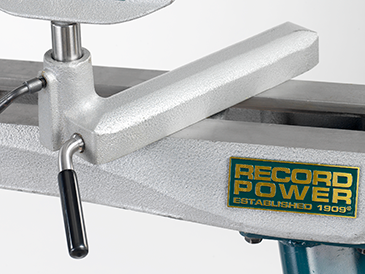 For very small work, polishing or burnishing acrylics, the top pulley gives access to very high speeds. 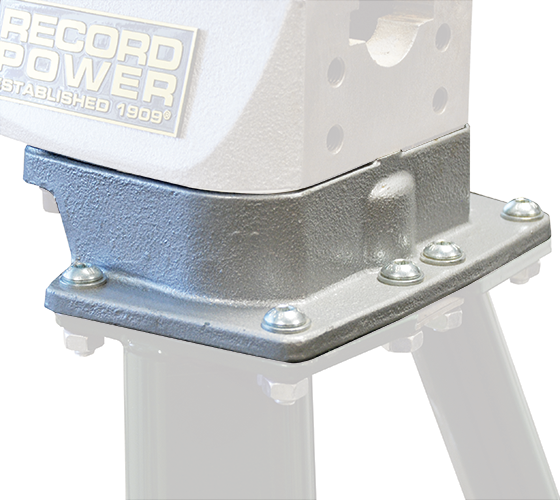 The headstock features a substantial hand wheel to turn the spindle, making fitment of headstock accessories much easier. 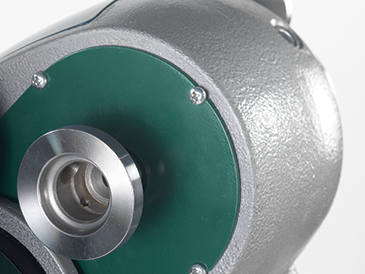 Holds the spindle securely and offers a full 24 point indexing function. 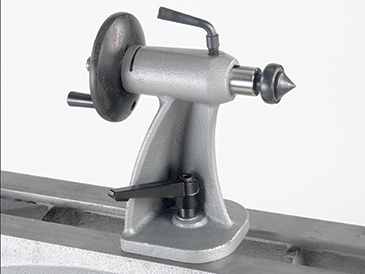 The tailstock has been designed to allow easier access to the cam lock handle at the rear. 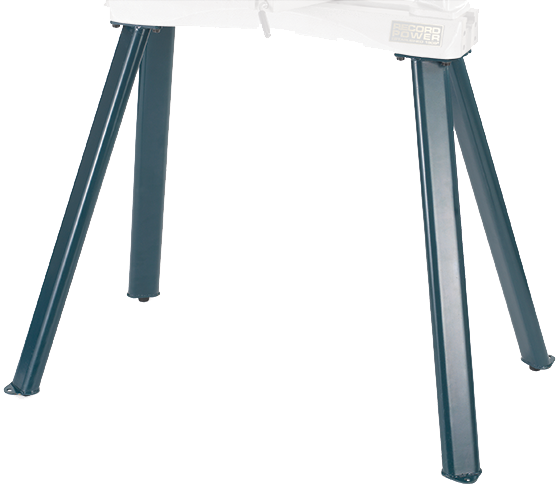 It is also profiled and open on one side for comfortable grip when sliding along the bed.